Follow books4yourkids.com's board I LOVE YOU Books for VALENTINE'S DAY on Pinterest. 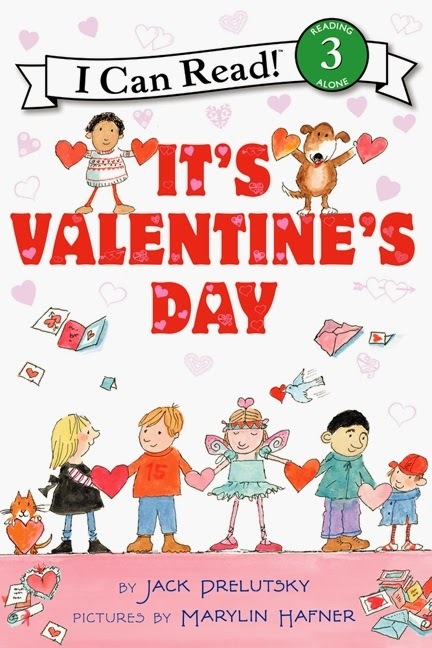 It's Valentine's Day wins that honor because it has a lot going for it: it's a book of poetry, rather than a story, it's written by the best silly poet for kids alive today and it's only $3.99! 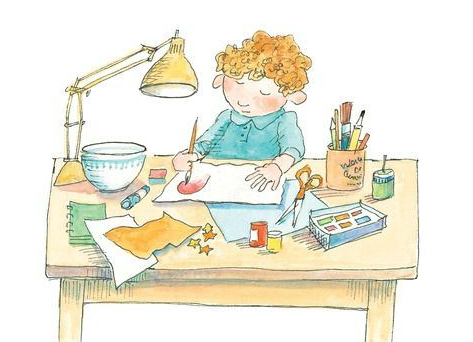 Beginning and independent readers can enjoy it on their own, parents, teachers and story time readers will find Prelutsky's pace and cadence easy to read and the 14 poems alternately funny and poignant. 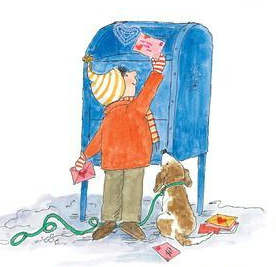 Hafner's illustrations are perfectly sweet and filled with detail and happily lacking in that predominate color of the holiday - pink. Prelutsky begins with traditional Valentine's Day topics - getting cards, giving cards, making a card for your teacher and the exchange of cards in the classroom, all expressive of the excitement and joy that comes with the day. Then Prelutsky moves into more Prelutskian territory with the poetic equivalent of a snowball in the face with, "A Valentine for My Best Friend," which goes . . .
and your breath should be unlawful. you should soak your head in brine . . . The love/hate relationship that kids sometimes have with each other is touched on in a few more poems, but the playful, giving tone tips the scales. My favorite poem in the bunch is called, "My Special Cake," in which a little baker adds a long list of ingredients, all of which taste delicious on their own, to the batter only take something out of the oven that, "has an awful taste, / like gluey gobs of smelly paste." Wondering what could have possibly gone wrong, the baker decides to make another cake! 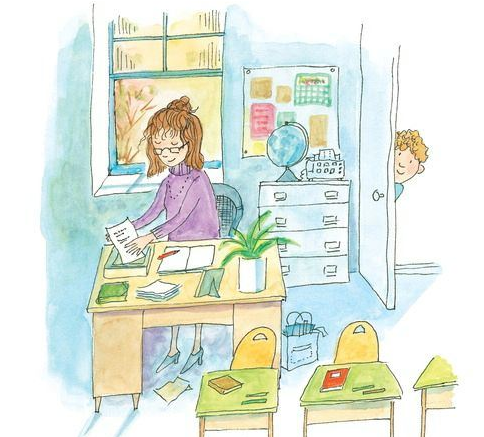 Another really fun poem, to read out loud especially, is "Jelly Jill Loves Weasel Will" in which the narrator runs through all the kids in the class, each student's name increasing in silliness. The penultimate poem, "My Father's Valentine" is a very sweet poem about a little boy trying to cut out a heart, whittling away at his piece of red construction paper with each failed attempt. But, being Prelutsky, he can't end on a sweet note, he has to go out silly with this short poem, "I Only Got One Valentine,"